To encourage savings for the social security of employees, the Government has set up various kinds of provident funds. The employee contributes a fixed percentage of his salary towards these funds and in many cases employer also contributes. The whole contribution along with interest is credited to employee’s account. He will get payment out of this fund at the time of retirement and at some other important occasions. If the employee dies, his heirs will get the full payment. (i) Statutory Provident Fund or the Fund to which the Act of 1925 applies (S.P.F.). (ii) Recognised Provident Fund (R.P.F.). (iii) Unrecognised Provident Fund (U.R.P.F.). (iv) Public Provident Fund (P.P.F.). Statutory provident fund is set up under the provisions of the Provident Funds Act, 1925. This fund is maintained by the Government and the Semi-Government organisations, local authorities, railways, universities and recognised educational institutions. A trust has to be created by the employer and employees to start own provident fund scheme. Funds shall be invested in accordance with the rules given under PF Act, 1952. If the scheme satisfies certain rules given under PF Act, 1952, it will get the approval of the PF Commissioner. If it is recognised by the Commissioner of Income-tax in accordance with the rules contained under Part A of the Fourth Schedule to the Income-tax Act, it becomes recognised provident fund. As stated in 2 supra (third column), if a provident fund is not recognised by the Commissioner of Income-tax, it is known as unrecognised provident fund. The Central Government has established the public provident fund for the benefits of general public to mobilise personal savings. Any member of the public (whether a salaried employee or a selfemployed person) can participate in the fund by opening a provident fund account at the State Bank of India or its subsidiaries or other nationalised banks. Even a salaried employee can simultaneously become member of employees’ provident fund (whether statutory, recognised or unrecognised) and public provident fund. Any amount (subject to minimum of Rs. 500 and maximum of Rs. 1,50,000 per annum) may be deposited under this account. The accumulated sum is repayable after 15 years (it may be extended). This provident fund, at present, carries compound interest at the rate of 8.7% per annum. Interest is credited every year but payable only at the time of maturity. “Salary” here means basic salary. It includes dearness allowance and dearness pay, if terms of employment so provide. It also includes commission where commission is determined at a fixed percentage of turnover achieved by an employee. If the employee has rendered continue service with his employer for a period of 5 years or more. For the purpose of calculating 5-year time-limit, service rendered with the previous employer shall be included, if the previous employer also maintained recognized provident fund and the provident fund balance of the employee was transferred by him to the current employer. If the employee has been terminated because of certain reasons which are beyond his control (e.g., ill health of the employee, discontinuation of business by employer, completion of project for which the employee was employed, etc.). If the employee has resigned before completion of 5 years but he joins another employer (who maintains recognized provident fund and provident fund money with the current employer is transferred to the new employer). If the entire balance standing to the credit of the employee is transferred to his account under a pension scheme referred to in section 80CCD and notified by the Central Government (i.e., NPS). Payment received in respect of employer’s contribution and interest thereon is taxable under the head “Salaries”. Payment received in respect of interest on employee’s contribution is taxable under the head “Income from other sources”. 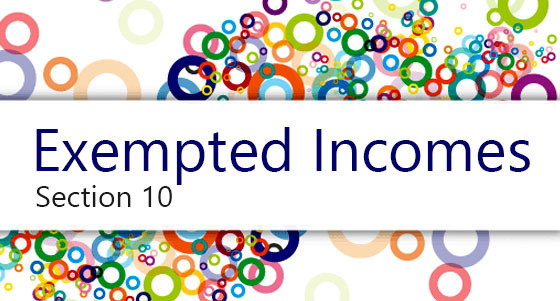 Deduction is available under section 80C from gross total income. Contribution by the employer to the approved superannuation fund is exempt upto ₹1,50,000 per year per employee. If the contribution exceeds ₹1,50,000 the balance shall be taxable in the hands of the employee. It is exempt from tax. It will be assumed, as if, such URPF was recognised right from the beginning. 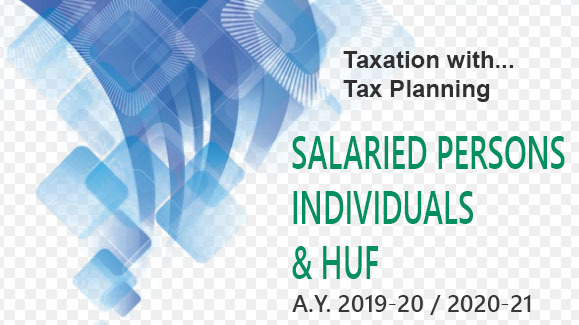 As URPF will be treated as RPF right from the beginning, contribution by the employer every year in excess of 10% of the salary of employee upto assessment year 1997-98 and 12% from assessment year 1998-99 plus interest credited to the provident fund every year in excess of 9.5% shall be aggregated till the date of conversion of the URPF to RPF. This aggregate will be included in the Gross Salary in the previous year in which the conversion took place provided the whole accumulated balance is transferred to recognised provident fund account. Where part of the accumulated balance is transferred to recognised provident fund, then proportionate amount of the aggregate amount thus computed shall be taxable. Further the part of the accumulated balance which is not transferred to the recognised provident fund shall also be taxable to the extent it relates to employers contribution and interest thereon and the interest on employees contribution included in such accumulated balance will be taxable under the head income from other source. In other words, if the contribution by the employer to URPF in the past years was 10% or less than 10% or 12% of the salary, as the case may be, and the interest credited to URPF was 9.5% per annum or less than 9.5% per annum there will be no Transferred Balance. Hence nothing will be taxable.